Zom Living, Scout Capital and Mattoni Group paid $36 million for a portion of the Ludlam Trail in Miami, where they plan to build a mixed-use project. Florida East Coast Industries sold roughly 13 acres of land to the joint venture, which includes 6 miles of unused rail tracks and a 100-foot right of way where the tracks previously were, according to a release. Zom and its partners plan to build 950 apartments and up to 35,000 square feet of retail space, with construction starting in the fourth quarter of this year. 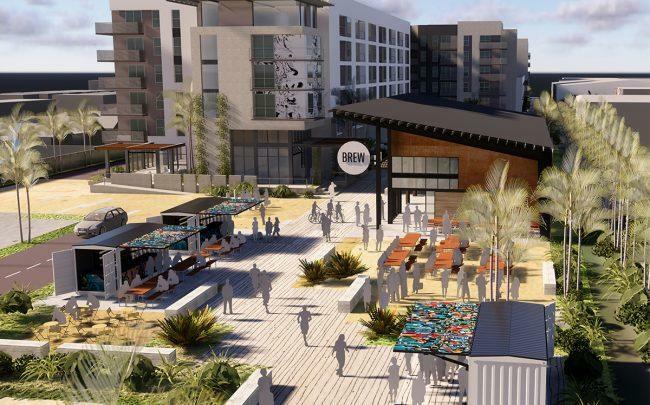 The project would be built in three phases, starting with more than 300 apartments and about one third of the retail space, Vince Signorello of Scout Capital said. Signorello left FECI, where he was CEO, about two years to start Scout Capital. In January, the Miami-Dade County Commission approved zoning for commercial and residential developments at major intersections along the trail, the Miami Herald reported. FECI said at the time that it planned to launch a Bird Road complex first, where the county is also planning to begin building its own public park. The county had secured about 30 percent of the $100 million in funding it needs for the park, according to the Herald. The property stretches from 48th Avenue to Bird Road (40th Street), and will connect to the public park. The joint venture will maintain the park area on its land and it will also be open to the public, Signorello said. The Ludlam Trail runs from Miami International Airport south to Dadeland Station. Zom, Scout Capital and Mattoni’s project will be completed within five years of groundbreaking, Signorello said. The retail “will skew towards food and beverage and those types of uses” but could also include home furnishings or design-type tenants, he said.